Today’s post will be a short one, I promise, LOL! So many things have happened during the week and I have some exciting news to share!! I’ll make sure to fill you in after my vacation. I am currently in Houston getting ready to fly out this morning to Puerto Rico with my family! 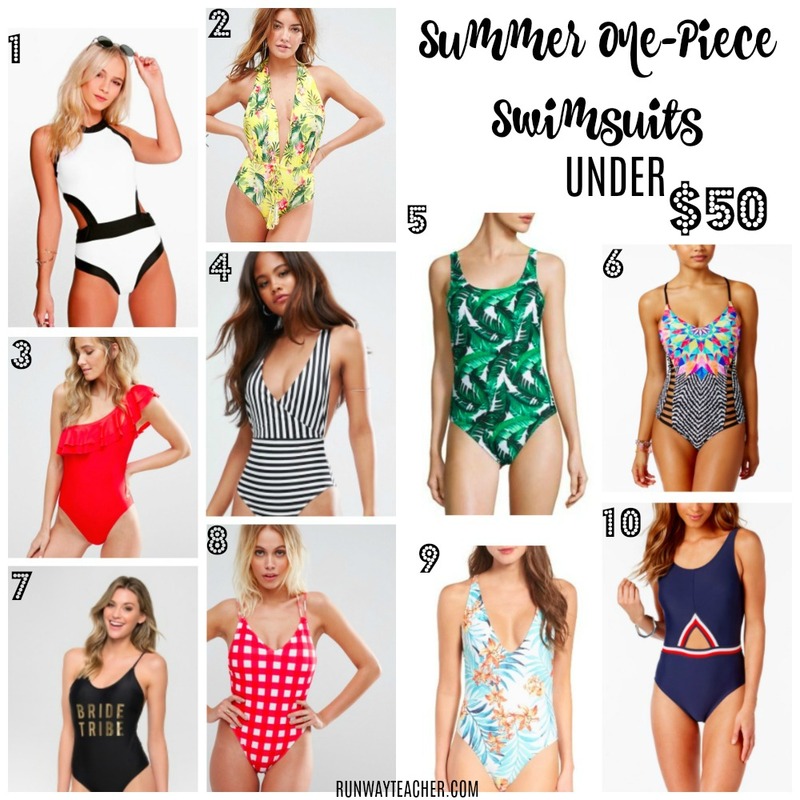 I am sure that you all are getting ready for your own summer vacation as well so I thought I would share some of my favorite one-piece swimsuits that are under $50! One-piece swimsuits are so trendy right now and it makes me feel a little less conscience of how I look and feel in them! Surely, one-piece swimsuits make me feel confident and these top picks are my favorites!! Let me know which one is your favorite =) Also if you order with ASOS (a few are from there) order a size up! I ordered two swimsuits with them last year and I absolutely love! For now, I packed my favorite go to one-piece swimsuit from Target! Yay! See, short and sweet! Happy July everyone! Don’t worry about anything, instead, pray about everything. Tell God what you need, and thank Him for all He has done. 1 amd 5 are my favorites. Enjoy your trip with the family. I wish you all a save trip. Oh those are pretty picks Buckky! I just wish I could buy them all lol! I am almost ready for my summer vacation But I needed a good swimsuit first. I really like Halter Tropical swimsuit , only thing which I am worried about is the fit because of my curvy shape. Diana, I love that choice! I think you would look great, but just read over how their sizing works! I typically look over that and read reviews before ordering! Hope that helps! Have a good day and God bless!